We often make assumptions based on another’s appearance. One of the factors that use to make those assumptions is the height of a person. Today is Ruth Bader Ginsburg‘s 86th birthday. Born in Brooklyn in 1933, she was part of the first generation of women in the 1950’s who sought out a professional career while maintaining a marriage and raising children. Though she facing discrimination on multiple fronts, she knew that the fight for the rights of American women was paramount. In 1993, she became the second female Justice on the Supreme Court when President Bill Clinton appointed her as the then newest member of SCOTUS. I think the best quote to sum up Justice Ginsburg comes from A Midsummer Night’s Dream. Justice Ginsburg is one of the many women who paved the way for this generation of American woman. She fought for our rights and lit a fire under our collective bottoms that will never go out. When bands breakup, the question of where the individual artists go musically hangs over the head of both the fans and the performers. 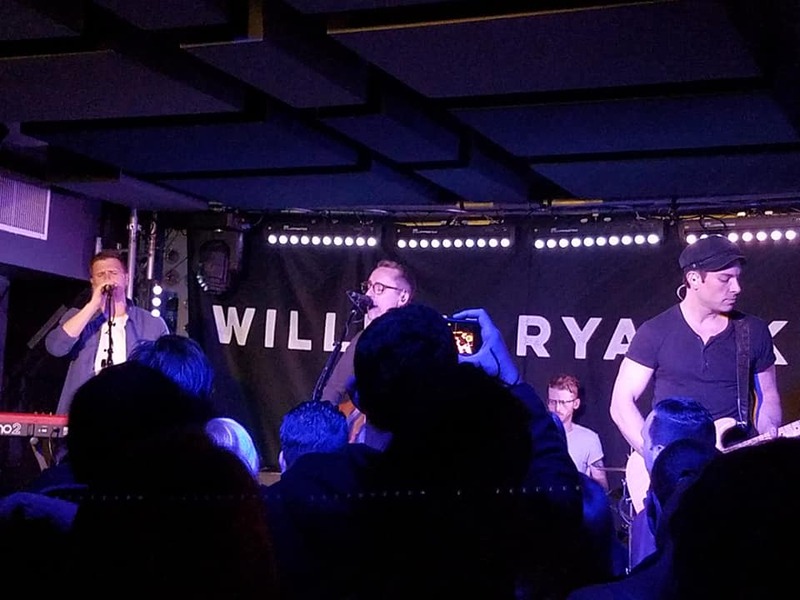 Last night, William Ryan Key (former front man of the pop-punk band Yellowcard) performed last night at Baby’s All Right in Williamsburg, Brooklyn. 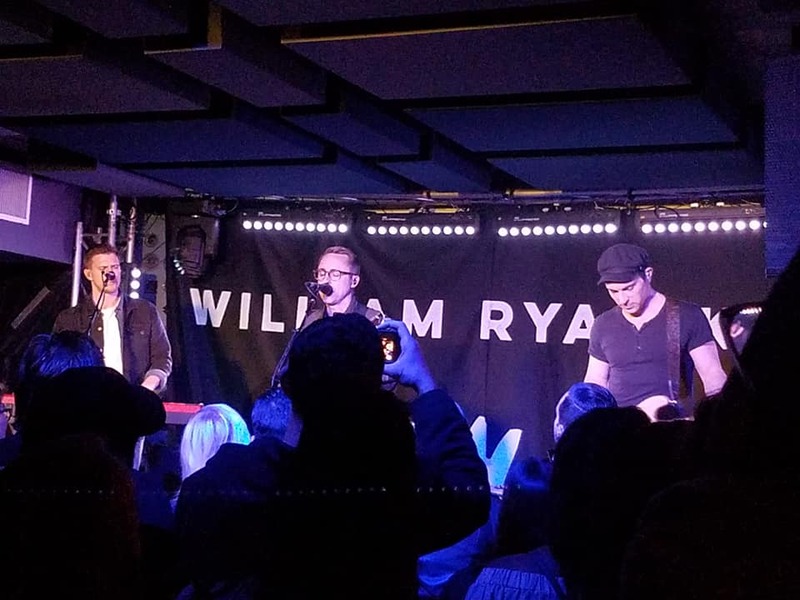 Performing songs from his 2018 solo albums, Thirteen and Virtue (in addition to some old Yellowcard classics), stripped back music to what it should be: a band, a mic, instruments and an audience who has as deep affinity for the artists on stage. Though the performance space is limited in the number fans it can hold, it was the perfect venue for an intimate performance. Instead of the larger concert venues that Key played while in Yellowcard, Baby’s All Right allows Key to have an intimate, one on one conversation with the small group of fans who know him and love him as an artist. It was one of the best Friday nights I have had in a long time. I recommend the concert and the albums. Religion and faith can be seen by two different points of view. One point of view is that religion and faith provide a community, comfort and an understanding of how the universe works. But other point of view is that religion and faith are divisive and rigid; forcing us to judge our fellow human beings by their religious identity and not as an individual. Writer Angela Himsel‘s childhood could have never predicted the direction her life as an adult took. In her memoir published last year, A River Could Be a Tree: A Memoir, Ms. Himself tells her story. Born to a conservative German-American Christian family in Indiana, she was raised to believe that salvation would only come if she followed the Bible to the letter of the law. With the future of her soul in mind, Ms. Himsel decided to spend part of her college years in Israel. She expected that living in the Holy Land would bring her closer to her Christian faith. Instead, the experience opened her eyes to a world of different perspectives and people. The time in Israel led her ultimately to a conversion to Judaism and a new life as a Jewish woman living in New York City. This book is a marvel. It’s a marvel because it speaks of the power of faith and the idea where we start in life does not always dictate where we go in our later years. Every movie genre has its own series of predictable clichés. The romantic comedy genre is no different. Isn’t It Romantic premiered last week. Natalie (Rebel Wilson) is a plus sized woman living in New York City and working in an architecture firm. She is single and cynical about romance. She is even more cynical about romantic comedies. Then she is mugged and knocks herself out running into a pole in an effort to get away from her mugger. When she wakes up, she finds out that the world around her has changed. Her apartment, which was tiny one room apartment over a store has become the apartment of every New Yorker’s dreams. Every man she meets thinks she is attractive. This includes Blake (Liam Hemsworth), a super hot billionaire who is immediately attracted to Natalie. Instead of being seen as a gopher by her colleagues, they respect her. The only person who seems the same is her best friend and work husband, Josh (Adam Devine). Then he meets Isabella (Priyanka Chopra), a model and philanthropist. This turns Natalie’s world upside down and she has to decide if she wants to live in a romantic comedy fantasy or live in reality. I loved this movie. I loved it not only because it’s heroine looks like most women in America, but it exposes in the most satirical (and funniest) way possible, the flaws in the romantic comedy genre. But what I loved most of all was the message of self esteem and loving yourself, regardless of romantic relationship status. Isn’t It Romantic is presently in theaters.